Check out all the fun that was had at the Richmond Maritime Festival in 2016! 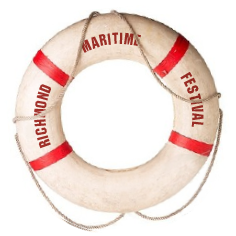 Enchanting mermaids, marauding pirates, a storytelling wharf rat and creatures from the deep brought Britannia Shipyards, National Historic Site alive with free entertainment, exploration and discovery for the 11th annual Richmond Maritime Festival from August 8 to 10, 2014. Seafaring scallywags, creatures from the deep and other colourful characters made Britannia Heritage Shipyard come alive with entertainment, exploration and discovery for the 10th annual Richmond Maritime Festival, which took place August 9 to 11. The weekend kicked off with a rousing musical chorus as festival goers attempted to set a Guinness World Record in a nursery rhyme relay by singing Row, Row, Row Your Boat.